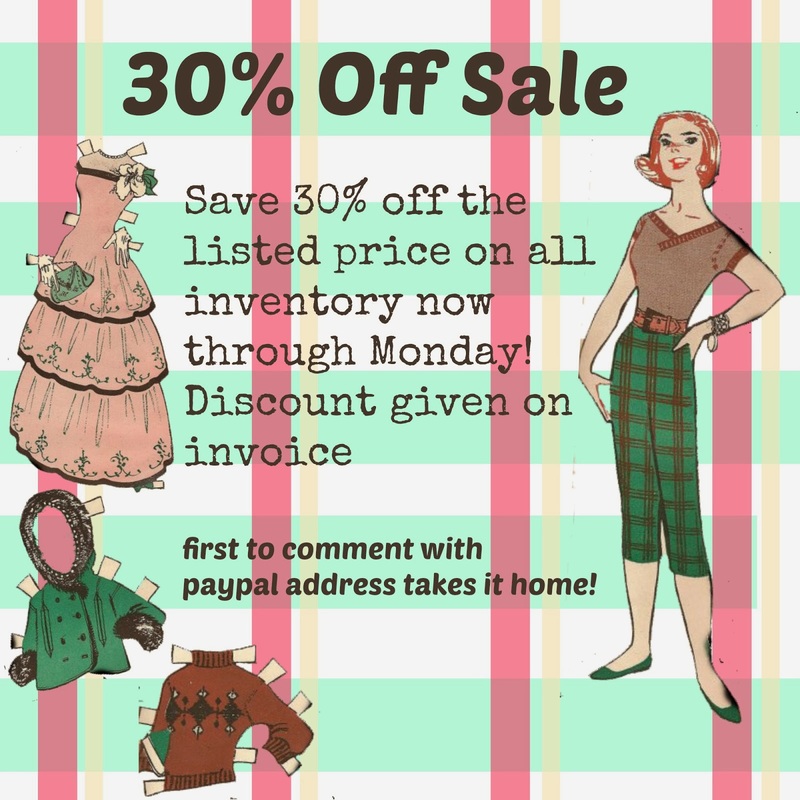 30% off Vintage Sale This Weekend! The vintage sale this week has been great! I'm so happy to purge my hoard and find new, loving homes for all of these beautiful things. I haven't even scratched the surface of my vintage stash so there will probably be another big sale in February. To wrap up, I'm offering 30% off all inventory now through Monday night! Shop the 30% off sale on Instagram here or Facebook here. To purchase, comment with your paypal address and zipcode. I'll send an invoice via paypal with the discount applied. Items will be deleted as they are sold.